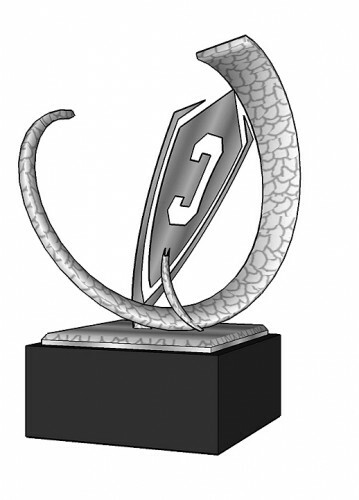 What better way to recognize great achievements than a beautiful one-of-a-kind trophy? 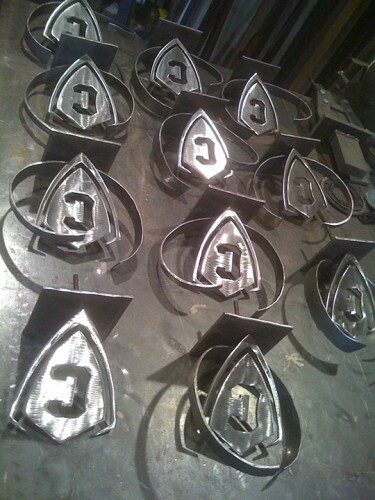 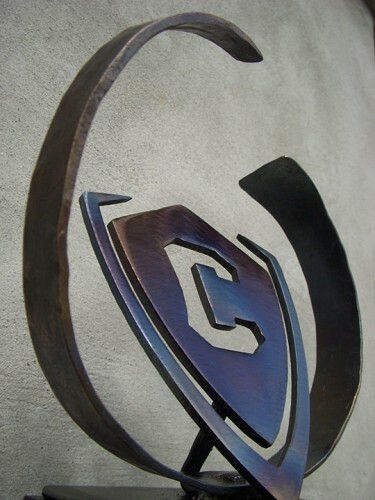 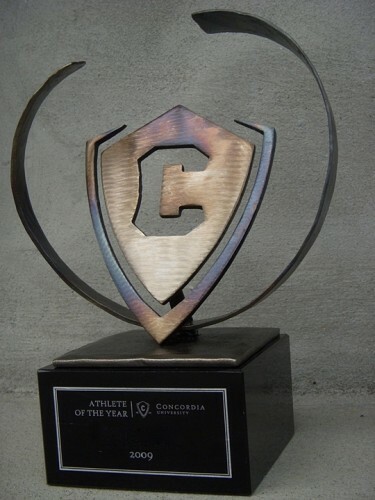 Using CNC plasma, laser, or water cutting options, precise logos can be translated to computer and cut in numerous metals and accented with hand-hammered details to create trophies unique to your event or activity. 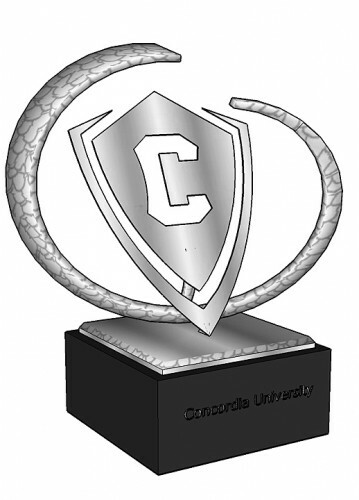 These trophies have honored the top athletes of Concordia University since 2009. 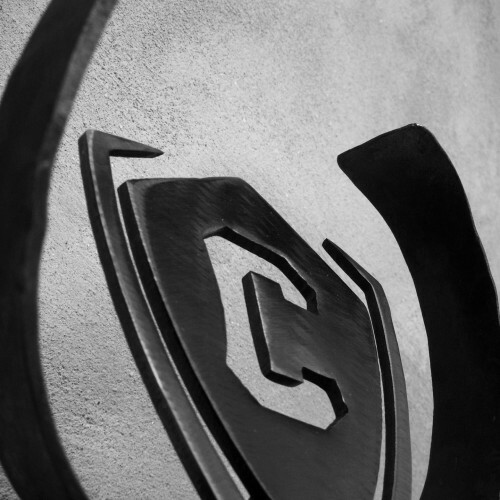 All content © 2019 by Iron Giant.